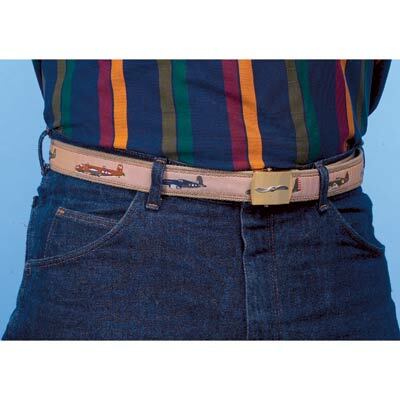 This Warbirds Belt will make a versatile addition to any wardrobe. Made in the tradition of the web belts used in the military, the style makes them very flexible. Has a solid brass buckle with an affixed propeller that is adjustable to size 46. 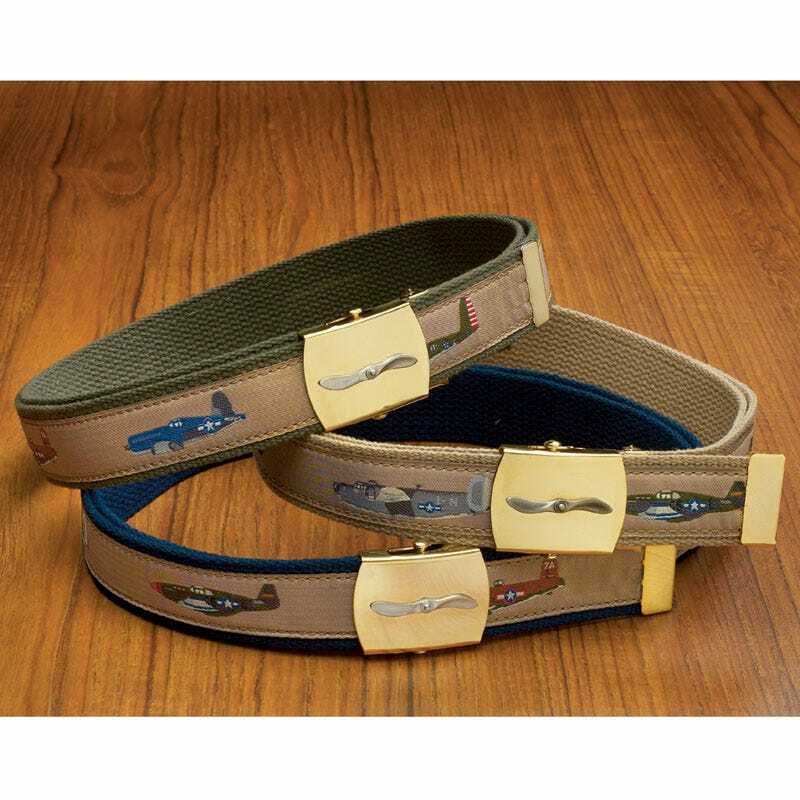 Belt depicts the B-17, B-24, B-25, F4U, P-51 and P-40 in a repeating pattern on a khaki background, with navy or khaki trim.